Well its a new year, and I managed to forget to post yesterday, I'm sure you will forgive me! In our second year with 365 hopefully we will continue to post interesting photos from our travels and garden. 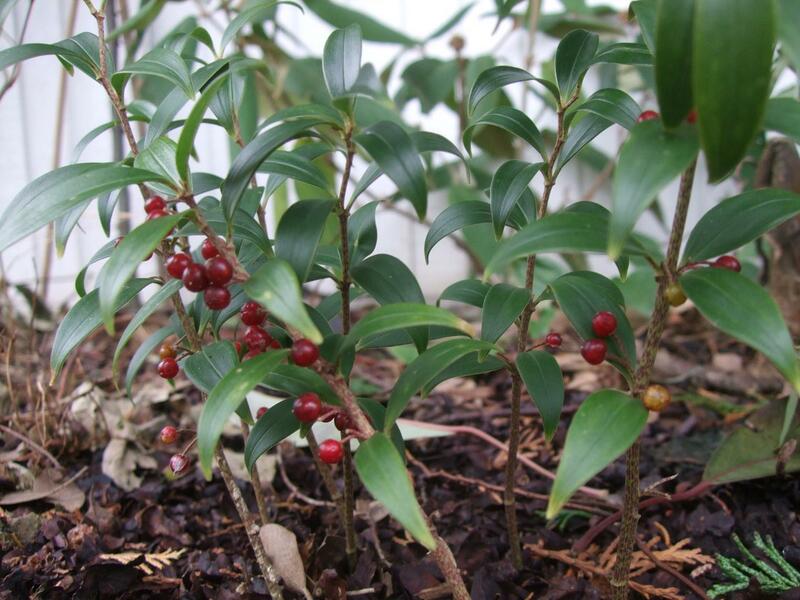 Todays photo is Polygonatum punctatum, which is reportedly rare in cultivation. It comes from the North West of India. The speckled pale pink flowers on this Solomon's Seal hang as small bells as the new growth elongates and as the season progresses, the flowers turn into attractive red fruits as you can see in ours growing in the raised bed by the filter house. The fruit-bearing stems can overwinter if its in a sheltered position and its not too cold.